Two nights away at a health retreat was just what my partner and I needed to reinvigorate our bodies after a hectic couple of months travelling, partying and over-eating. Giving up all the things I enjoy, adhering to strict diets, no martinis and boot camp style exercising is not my idea of fun. I knew there had to be a better way to get my body back into shape. After doing some research, I discovered Solar Springs Health Retreat, which offers two to seven night packages, designed to indulge and inspire, leaving me feeling renewed. This sounded just the sort of place we would enjoy. 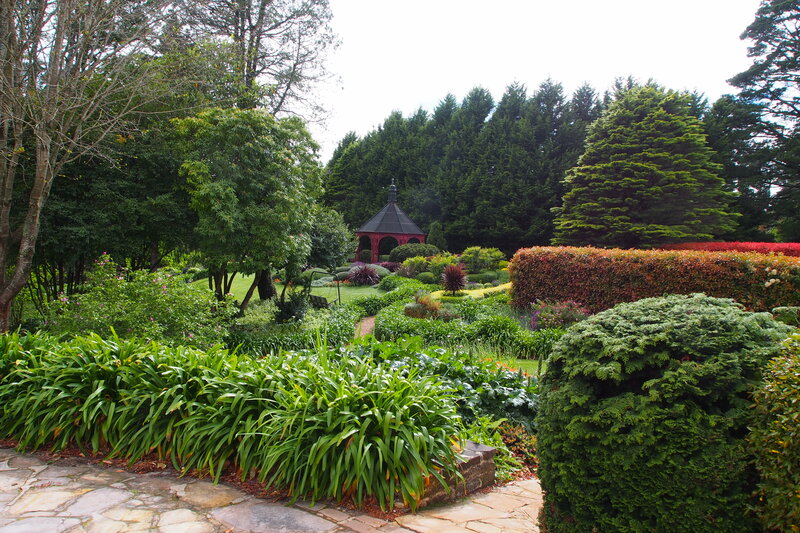 An easy two hour drive down the highway from Sydney, Solar Springs is situated in the Southern Highlands town of Bundanoon, a quaint village that takes you back to yesteryear. If driving does not appeal, catch the train to Bundanoon and Solar Springs will pick you up from the station. On arrival, we felt a sense of grandeur as we proceeded up a driveway, flanked by huge trees. 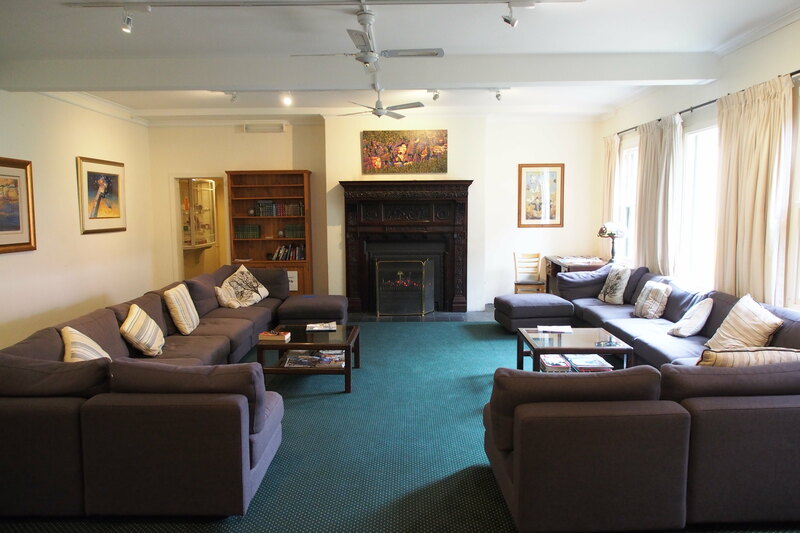 The main building, a former 1920’s Guest House, is set amidst beautiful park like gardens, situated on the escarpment overlooking Morton National Park. After receiving a warm welcome, we were shown to our Valley View Room, complete with views over the gardens, where each morning and evening we watched the arrival of kangaroos, rosellas, cockatoos, galahs and ducks. In the distance we could see the magnificent Morton National Park. To enable guests to escape from their everyday life, none of the rooms have a phone, radio or TV. I must confess that I did miss having a TV in my room, but there was a TV Lounge provided for guests. 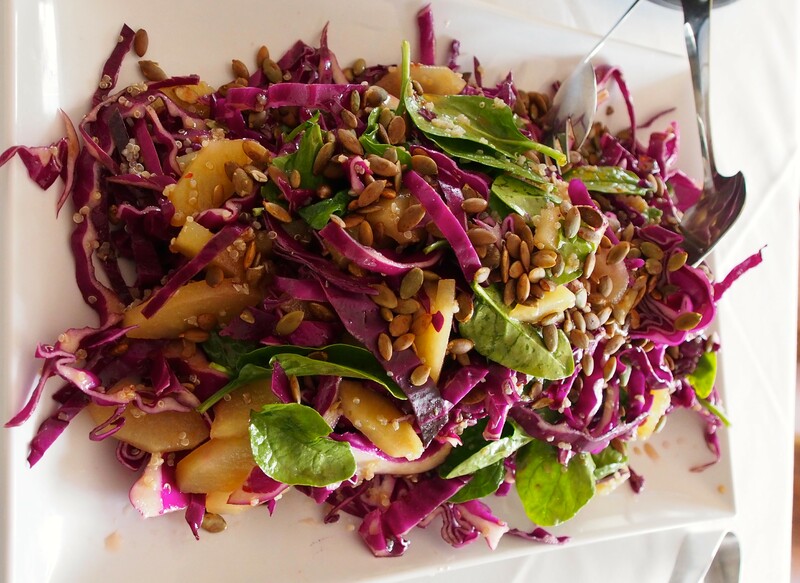 Three meals a day, plus afternoon tea, are included. Breakfast and lunch were served buffet style, while dinner consisted of a three course set menu which changed each evening. Although there was not a wide choice, the food was excellent. Those watching their weight, were not tempted by the multi-course menus and groaning buffet tables, such as one sees on cruise ships. The daily programme offered a wide choice of activities including archery, aquarobics, bushwalks, yoga, gym classes plus specialised lectures from a life coach and a naturopath. 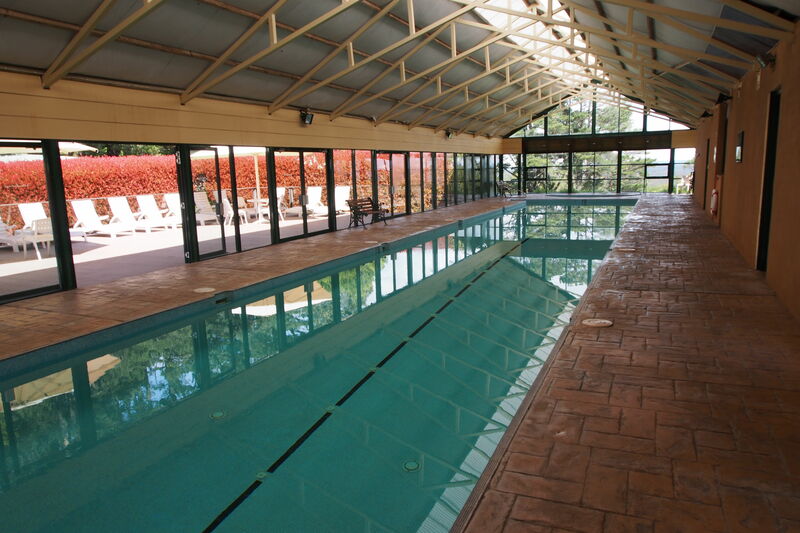 The enormous indoor pool, with a bubbling spa at one end, was very popular. There’s even a tennis court, but if none of these appeal, a pleasant option is to catch up on your reading in one of the two comfortable lounges. My favourite activities were the spa treatments. I enjoyed a very relaxing facial one morning, then in the afternoon I indulged in a full body massage. From the five facials available, I chose the “Solar Steam Infusion Facial” using papaya enzymes. Male guests are not forgotten, with the “Solar Men’s”, a special 55 minute facial for men only. My Swedish massage was just what I needed to get rid of the tension in my shoulders. 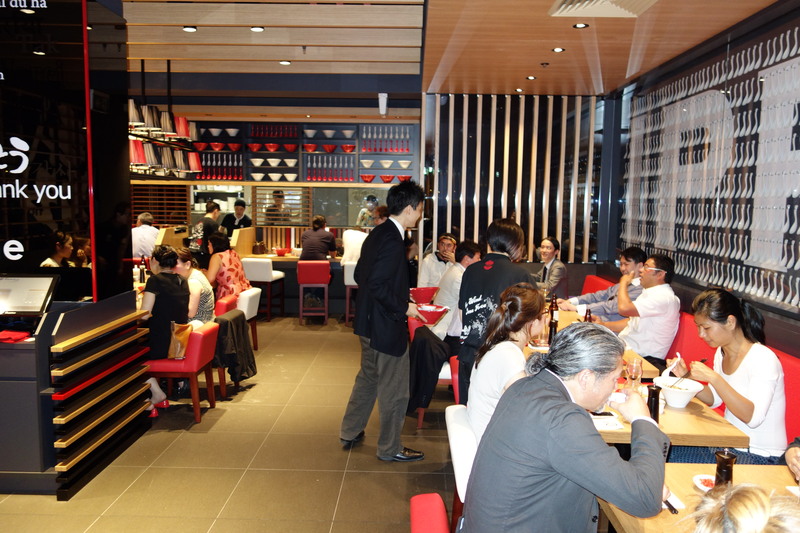 Japan’s famous ramen brasserie, IPPUDO, recently opened its second Australian venue at Sydney’s new hot spot, Central at Central Park. Their focus is on ramen dishes, in a casual and relaxed ambience. 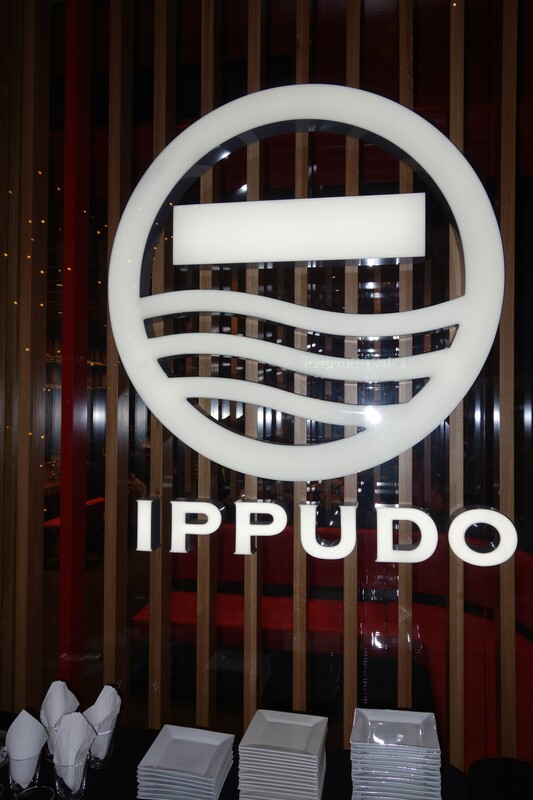 In Japan, ramen is known as soul food and in Australia, IPPUDO offers authentic ramen with the highest quality soup, noodles and ingredients, using fresh local products and fuses them with Japanese elements. At the opening function, once the traditional Sake Barrel Breaking Ceremony took place, guests enjoyed a bowl of IPPUDO’s authentic ramen. It was hard to choose between the two famous signature ramen dishes: Shiromaru Classic, the original white, pork-based broth ramen and Akamaru Modern, a bolder red broth seasoned with garlic oil and IPPUDO’s special-blended miso paste (Umami-dama). I tried the Shiromaru Classic and can highly recommend it. 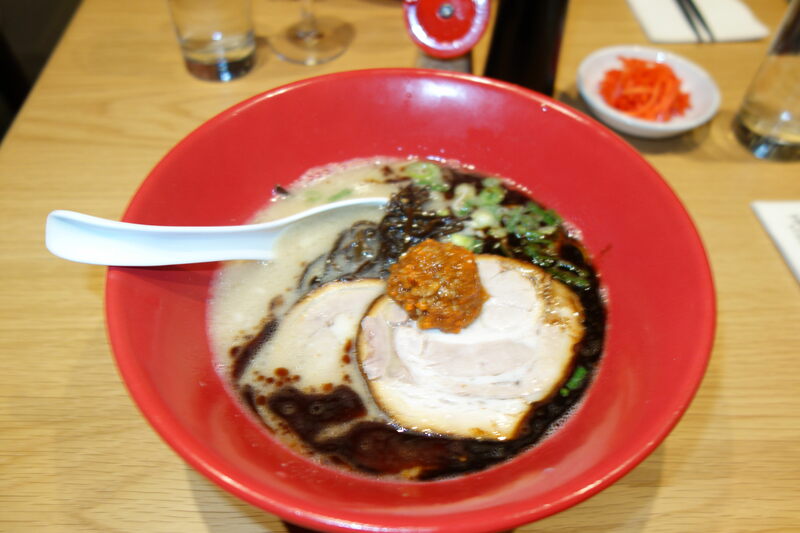 Launched in Japan’s ramen capital of Hakata in 1985 by IPPUDO founder, Shigemi Kawahara, the internationally acclaimed Ramen King, known for revolutionising the ramen industry in Japan. Kawahara won his place in the Ramen Hall of Fame after three consecutive first place wins on a Japanese television program where ramen mavens compete to create the best ramen. 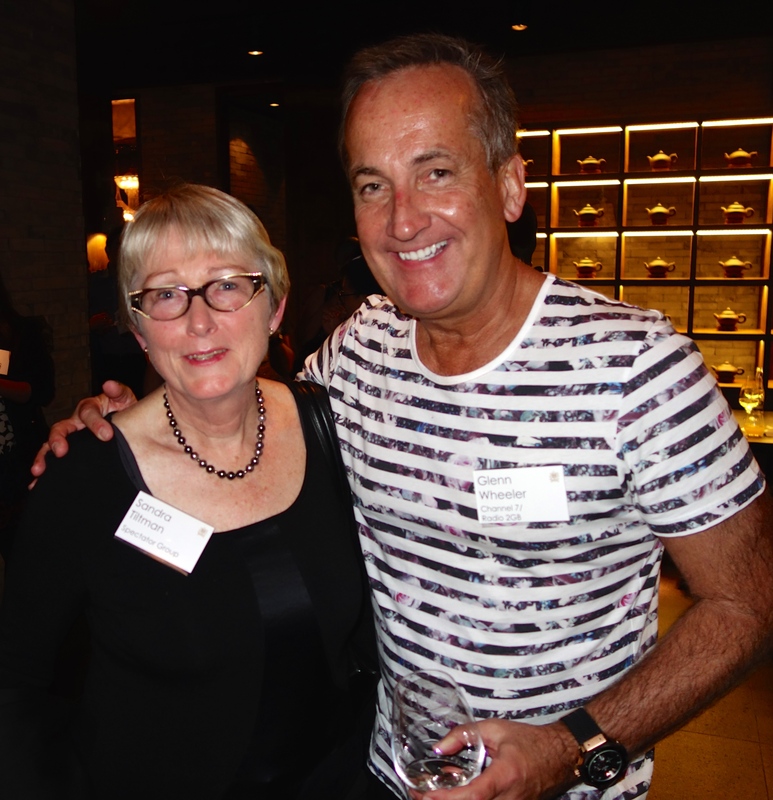 Kawahara’s empire now has 70 stores in Japan and 40 internationally. He commented “Through a humble bowl of ramen, I hope to spread the Japanese spirit around the world with ‘Smile’ and ‘Arigatou’. 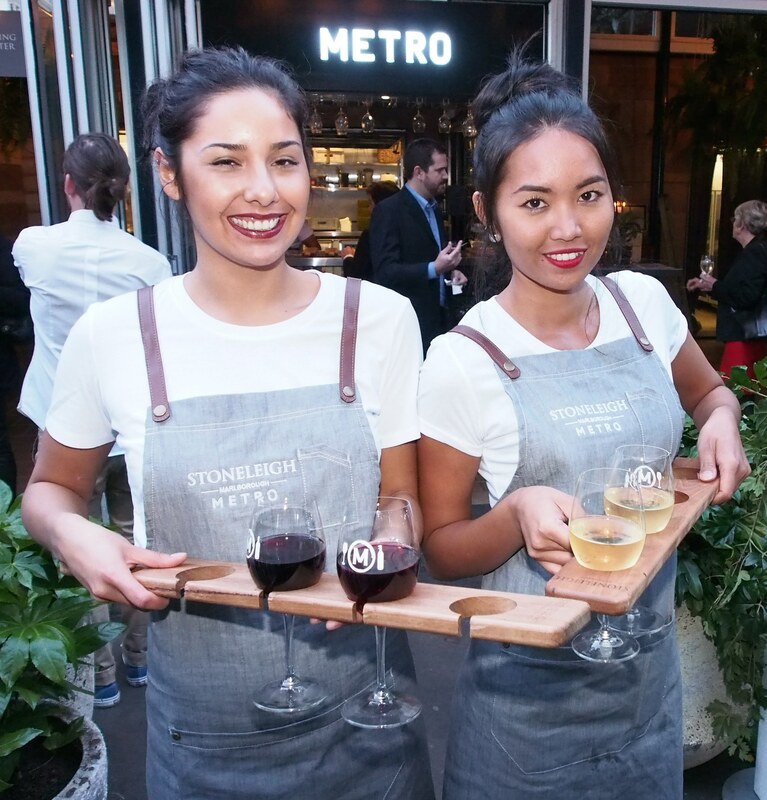 Stoneleigh Marlborough Metro, a pop-up bar with a difference, has taken up residence in Sydney’s Hyde Park, behind St James Station and just across the road from David Jones. A very convenient location for shoppers and CBD workers to enjoy a glass of wine or two when they have finished their shopping or want a break from work. Known also as Metro St James, the pop-up bar will only be around for several months, so don’t delay, make sure you visit this urban oasis soon. 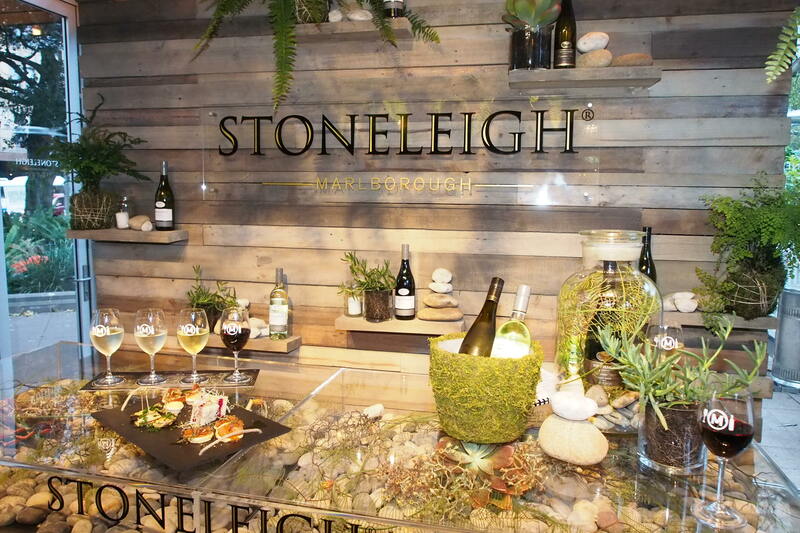 At the recent launch event, I sampled their unique Cellar Door Experience, where you can taste a range of Stoneleigh wines, guided by a Stoneleigh wine advisor who educates you on New Zealand’s Marlborough region and Stoneleigh varietals. The Stoneleigh Marlborough Tasting takes you through the Marlborough selection including Sauvignon Blanc, Pinot Noir, Pinot Gris and Chardonnay. The 10-15 minute tasting is $10 per person. The Stoneleigh Rapaura Series Tasting of Stoneleigh’s single vineyard range includes Sauvignon Blanc, Pinot Noir and Pinot Gris. The 10-15 minute tasting is $12 per person. The Stoneleigh Deluxe Tasting of Stoneleigh’s Rapaura Series Sauvignon Blanc, Chardonnay, Pinot Noir and Pinot Gris plus expertly matched canapés is $20 per person and takes 20-25 minutes. Only an hour from Hong Kong via Turbojet, Macau offers visitors a unique modern Asian experience with an exotic Portuguese flavour. Sitting side by side the very modern skyscrapers are many reminders of its Portuguese heritage. Restored colonial buildings, beautiful black and white tiled streets and magnificent squares give a European feel to this delightful city. Having a food culture and restaurants like no other Asian city, Macau gives the diner a gourmet experience, with everything from a street stall to the finest restaurant. 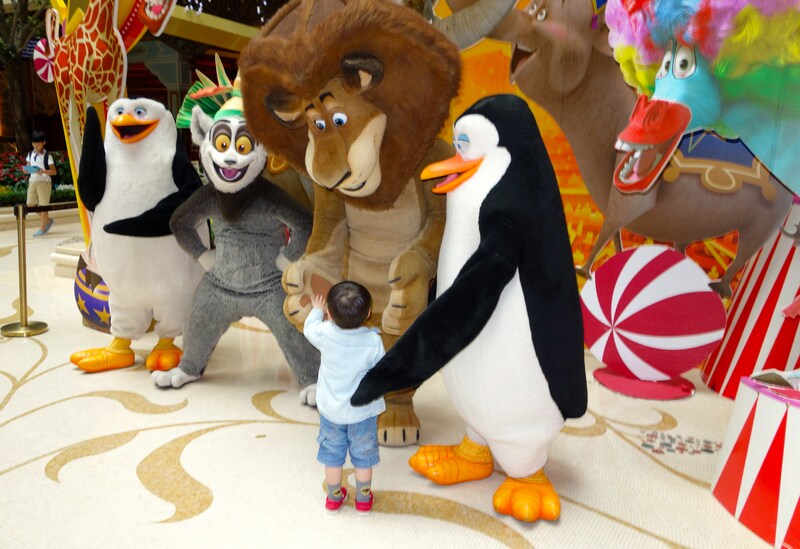 Macau also offers an enormous selection of fine hotels, with nearly every five star hotel brand represented. 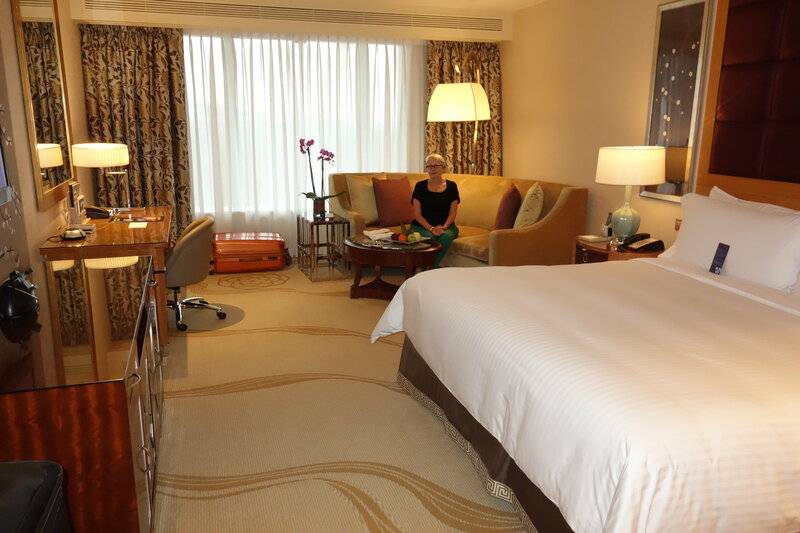 When I visited Macau recently, I decided to stay at Conrad Macau, Cotai Central, overlooking the Cotai Strip and part of a fully integrated resort city. The imposing entrance gives an aura of grandeur and from the moment you enter, the friendly staff attend to your every need. Their comfortable rooms are very spacious, with large marble bathrooms, complete with matching his and hers robes and slippers. The bar located in the foyer is perfect for a martini to start the evening. During the day it’s a great place to grab a light meal. 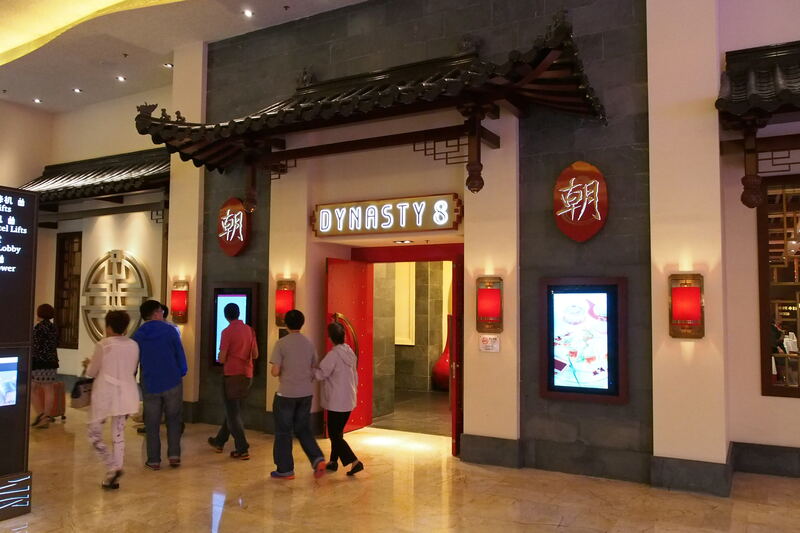 I also dined in their elegant DYNASTY 8 Asian Restaurant where I enjoyed a superb meal, beautifully served. A special treat for those with children are the Shrek characters which come out at scheduled times each day to mingle and pose for photos. The hotel’s location made it extremely easy to walk around the surrounding area and visit the many shopping arcades. All of Macau’s famous sights were in easy reach, either by taxi, tour bus or by the many free shuttle buses. 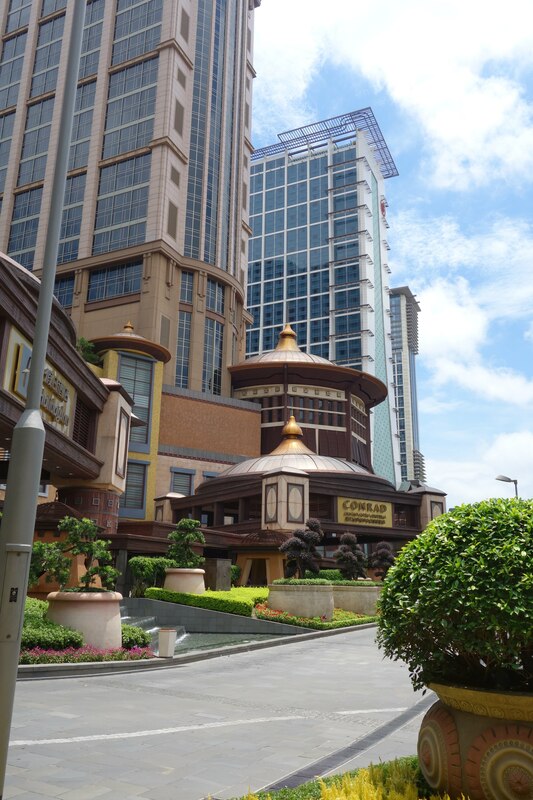 I was pleased to learn that Conrad Macao has added three prestigious awards to its already long list of accolades: “Macau’s Leading Hotel 2014”, “Macau’s Leading Hotel Suite 2014” and “Asia’s Leading Green Hotel 2014” at the annual World Travel Awards – Asia and Australasia region, held recently in India. Conrad Macao leads the way with Earth Hour, the worldwide campaign which invites people and organisations to turn off their lights in support of action on global climate change. Their commitment to conserving energy has gone beyond a once a year event, with the hotel making Earth Hour a bi-weekly event, switching off all non-essential lighting on the first and third Tuesday of each month, as part of its green resolution to observe “Earth Hour, Every Month”. 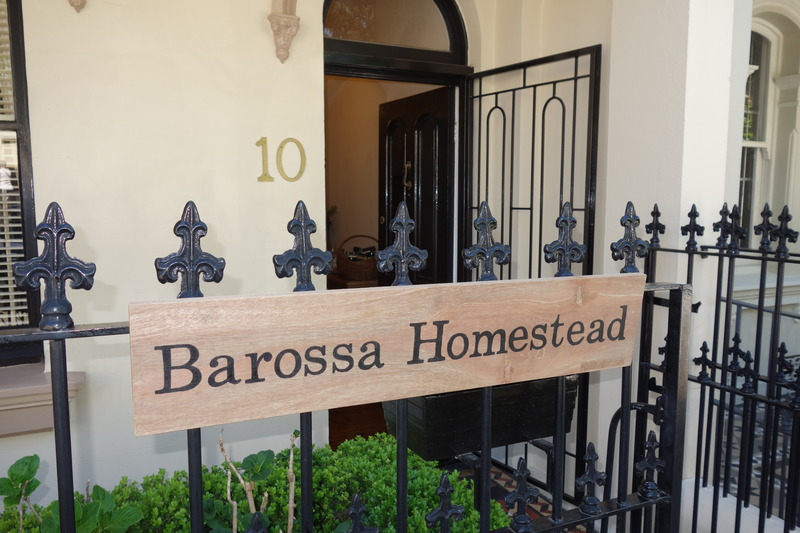 Tasty treats from the Barossa region of South Australia were showcased in Sydney’s Paddington, when Barossa Homestead took over a terrace house for a pop up event over five days, as part of Good Food Month. 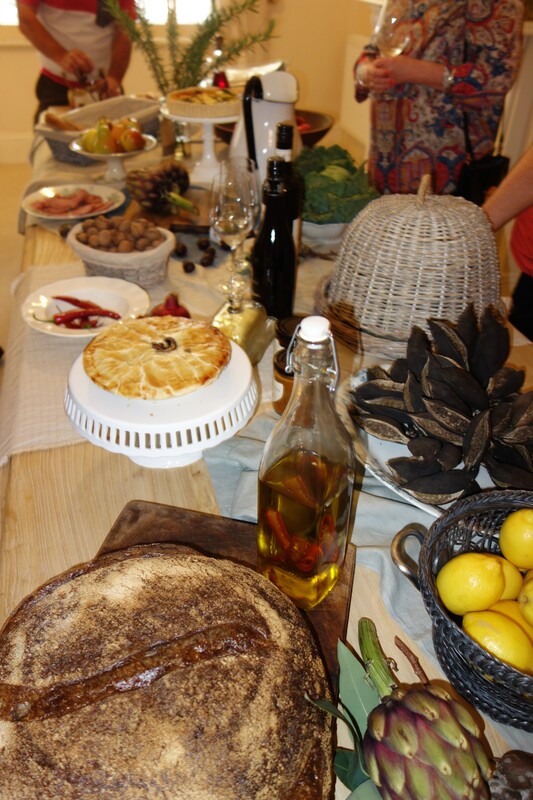 Each day, a different group of food artisans displayed their wares and offered a selection of tastings to the delighted crowd, who were only too eager to try the various wines, cheeses, chocolates, coffee varieties and four flavours of ice cream. Out on the terrace, a flavoursome pork sausage was cooked on the BBQ, while people tasted the home made beer. One of the highlights on the day I visited, was the chef cooking two delicious varieties of pasta. The gnocci was exceptional. I’ll have to make sure I squeeze in a visit to the Barossa soon. Sydney’s love of Asian food is again acknowledged with the celebration of Asia On Your Doorstep, an annual event running throughout the month of October. 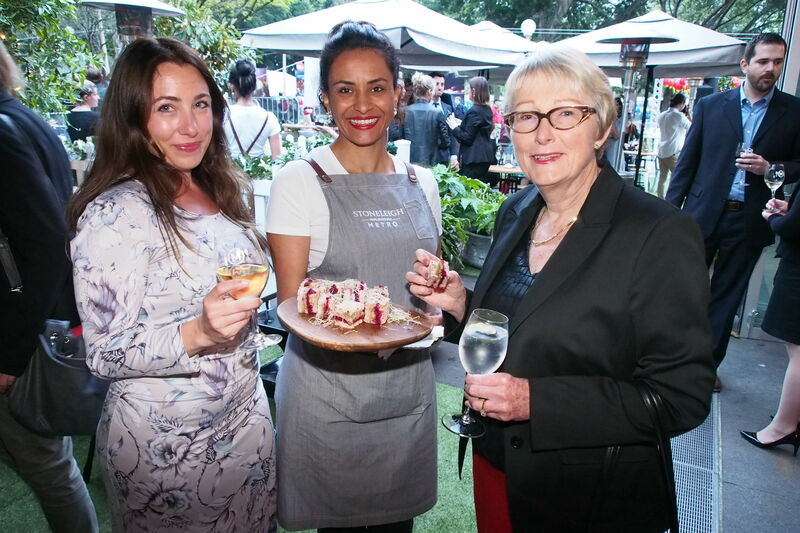 The festival, held during Sydney Good Food Month, is a special initiative to celebrate the feast of Asian flavours available at the city’s many restaurants, cafes and food stalls and allows foodies to taste their way through Asia without leaving Sydney. 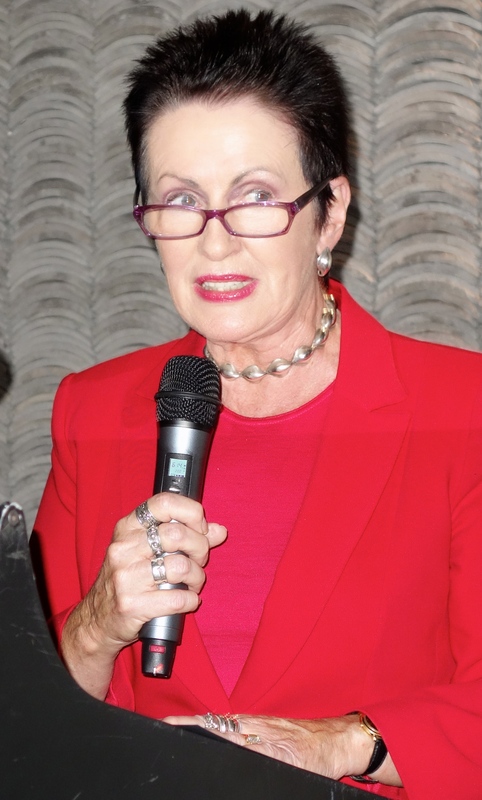 Lord Mayor of Sydney, Clover Moore, officially launched this year’s event on Tuesday evening at a function attended by the Consuls of many neighbouring Asian countries and a large gathering of food lovers at the China Republic Restaurant in the World Square Shopping Centre in George Street. Lord Mayor Moore commented that Sydney’s Chinatown had now grown and expanded from its Dixon and Sussex Streets origins to include the adjoining Thaitown and Koreatown villages, where a large range of restaurants and Asian supermarkets can be found. The Hon. Andrew Stoner, MP, Deputy Premier, Minister for Trade and Investment and Minister for Tourism and Major Events was the guest speaker, sharing his love of Asian food with the audience. SBS World News Australia Presenter, Lee Lee Chin, did an amazing job as Master of Ceremonies. One of the festival’s highlights each Friday evening from 5 p.m. in October is Little Hay Street in the heart of Haymarket transforming into “Little Eat Street” markets. Visitors will be able to enjoy yum cha, teppanyaki, sushi and pho, along with other Asian dishes at more than 15 take-away Asian food stalls. During Asia on Your Doorstep, hotels throughout the city are offering special accommodation packages to entice and temp food lovers throughout Australia and overseas to visit Sydney, so they can experience the enormous variety of Asian cuisines available at the city’s many world-class restaurants. Diners in Chinatown’s dining precinct during the month long event, will have the chance to win a trip for two to Seoul. Lord Mayor Clover Moore encouraged Sydneysiders and visitors to immerse themselves in all Chinatown has to offer during Asia on Your Doorstep. Leading Australian theatre producer John Frost said “We have assembled an exceptional cast for this 10th Anniversary production of Dirty Dancing”. The role of charismatic dance teacher Johnny Castle will be played by NIDA graduate Kurt Phelan, an actor, choreographer and writer. His musical theatre credits include Singin’ in the Rain, Witches of Eastwick, Saturday Night Fever and Priscilla Queen of the Desert. Kirby Burgess will play the role of innocent young “Baby” Houseman. Kirby has been seen on stage in Sweet Charity, An Officer and A Gentleman, Hairspray, High School Musical – Live on Stage and on television in Wonderland. In his musical theatre debut, classical music singer Mark Vincent will play Billy Kostecki, Johnny’s cousin. Baby’s father Jake will be played by Adam Murphy and her older sister Lisa will be played by Teagan Wouters. Dirty Dancing is a wonderful Australian success story. The stage musical gave audiences the chance to hear the songs from the hit film performed live and to experience the breathtaking dance routines. People flocked to it, breaking records all around the world. 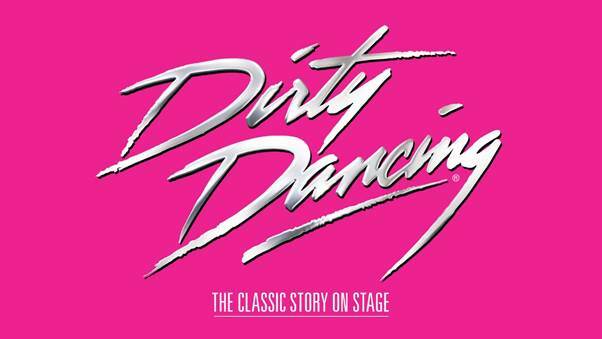 Deputy Premier and Minister for Tourism and Major Events, Andrew Stoner, said “The return of the much loved stage favourite Dirty Dancing, reinforces Sydney’s position as Australia’s live performance capital. I congratulate John Frost and his team on assembling such a vibrant young cast who will breathe new life into this much loved production, which is expected to attract visitors from across Australia”. You are currently browsing the SANDRATBLOG.COM blog archives for October, 2014.